We UK residents are very lucky when it comes to the poisonous creatures we never have to worry about… but although we don’t have many, there are still a few. One of those, in fact the only venomous snake native to the UK, is the adder. 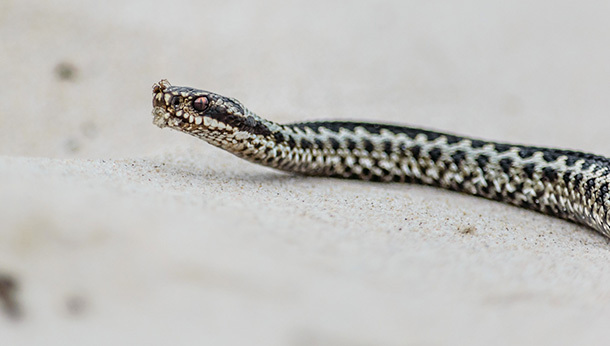 Although adder bites occur rarely in the UK, it’s important to be on the lookout and to know how to take the best care of your dog when you’re out walking during the spring. 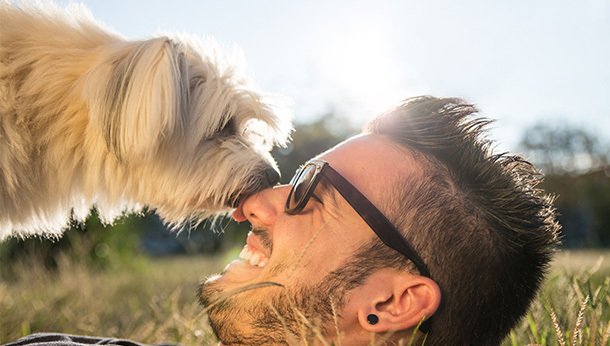 The chances of your dog being bitten? Adders’ habitats tend to be sand dunes, hillsides, rocky areas, moors and woodland areas. They bite rarely and when they do, it is usually in self-defence, perhaps if your dog has disturbed them. If you’re concerned or have heard about an adder sighting near you, you can keep your dog on the lead when you walk through any potentially worrisome areas. Adder bites are rarely fatal to dogs. In fact, 96% of victims will make a full recovery within 5 days. What to do if an adder bites your dog? First things first… don’t panic! Your dog may be yelping and perhaps in shock but it’s important for you to remain calm. Do your best to keep them still to prevent the venom from spreading around their body. Carry them rather than allowing them to walk. Apply cold water to the bite as soon as you get home, this will help to reduce any swelling. And always, as with any bite or poison incident, contact us as soon as you can so we can check up on your dog. This will depend on how severe the bite is. We’ll usually prescribe a painkiller, and depending on your dog’s condition, we may recommend antihistamines or treatment for shock. We might also recommend keeping your dog in their crate for a short while – this will prevent the venom travelling further through their body by reducing movement. As we say, the important thing is not to panic – don’t let the threat of adder bites spoil your lovely, refreshing spring dog walks! If you need further guidance of advice, contact us today.